Than a Swiss Army Knife? I’ll tell you what’s better. Having a person on your team who is skilled at using electronic marketing channels successfully, and can keep your business on the cutting edge with the latest technology for marketing. Having access to someone who can advise you about what works for your industry, what strategies make sense, as well as dollars and cents, and who will be there for you to help implement your plan, provide training, suggest mid-course corrections, and monitor ROI for you. At Electronic Marketing Success, our vision is to be your trusted partner. There are three primary areas where our expertise and experience can provide you with the precise tool to achieve that increased bottom line that is your vision. 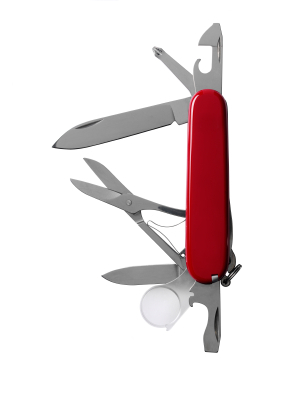 Email me today to find out how Electronic Marketing Success can be better for your business than a Swiss Army Knife!